Counihan family tree by Paddy Waldron. 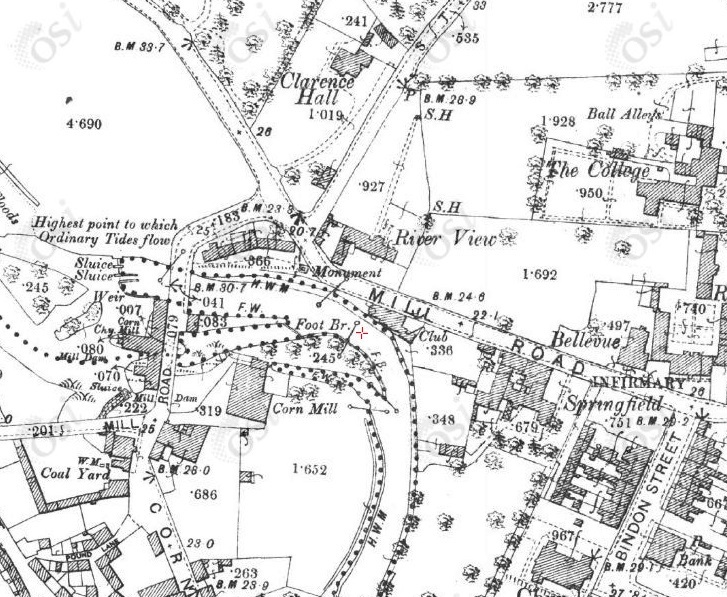 River View, Ennis, on 1887 to 1913 map. The house is now gone. The site is now Ennis Community College secondary school (see street view). Henry Counihan, mar Ann O'Shaughnessy. bur Drumcliff Cemetery, Ennis, Co.Clare. 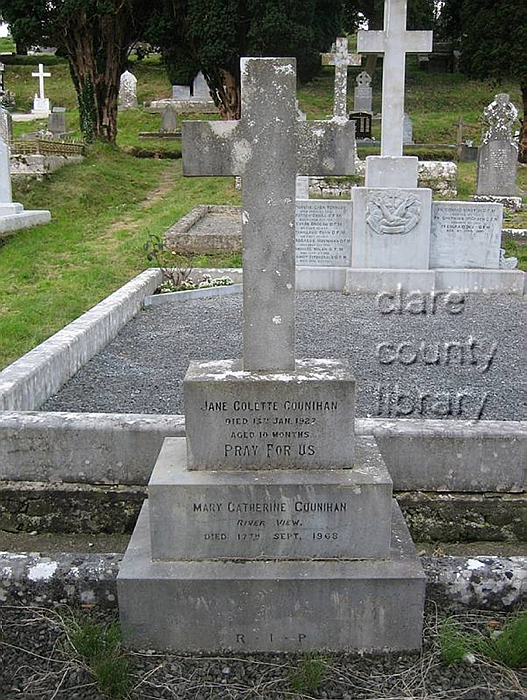 Counihan grave, Drumcliff Cemetery, Ennis, Co.Clare. Photo 2008. From Clare County Library.